Traffic is hellish everywhere when it approaches Chinese New Year, don’t you all agree? It took me an hour to get to Jaya Square from Bangsar via NPE. I remember going through the same jam last year, as the sau kung dinner was held in the same restaurant – San Francisco Steakhouse. During this time of the year, parking is quite a b**ch. Your only option is to park by the roadside or pay the jockey RM10. I did the latter. Horrible traffic and parking aside, the company was good and there was plenty to eat and drink. 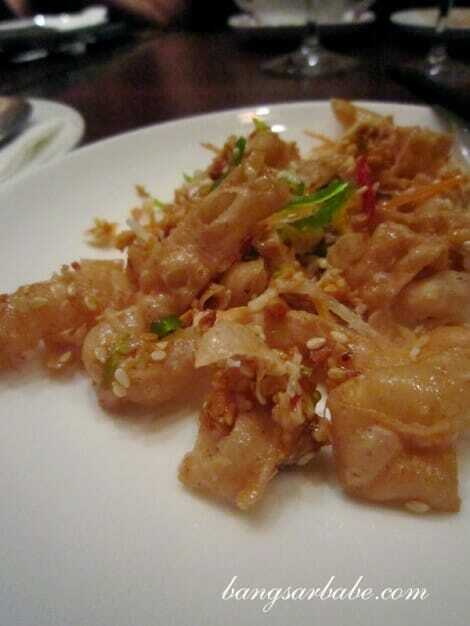 The yee sang with salmon was from Imperial China upstairs – nothing impressive. I didn’t care much for the cream of broccoli either. It wasn’t bad, but neither was it memorable. Pardon the quality of the pictures. The restaurant lighting was quite dim. 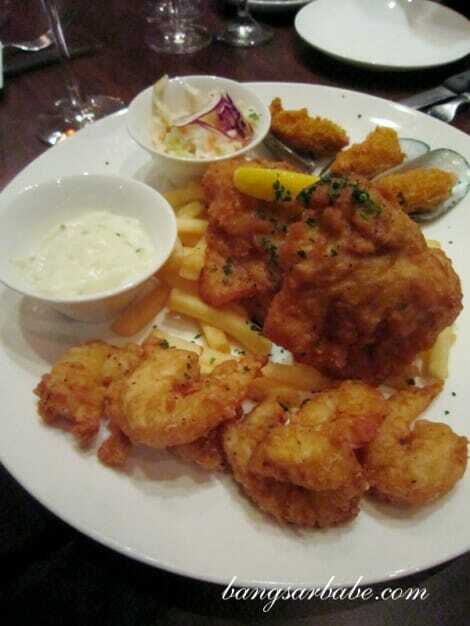 Better was the fried seafood platter, comprising breaded mussels, dory, prawns and chips. I didn’t like the tartar sauce given as it tasted like it was prepared using substandard mayonnaise. 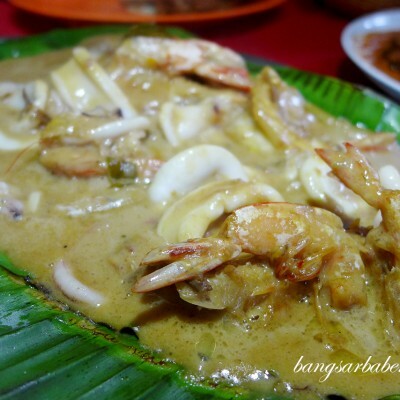 The mussels were slightly rubbery but I enjoyed the prawns and dory. 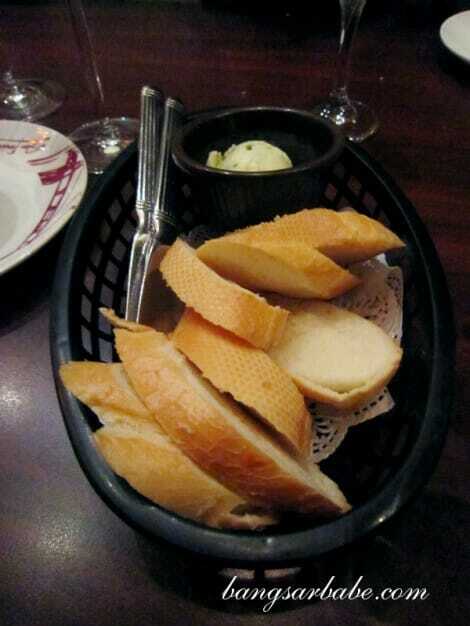 There were 18 bottles of alcohol to share among 12 people so I asked for bread and butter to ‘lace’ my stomach. 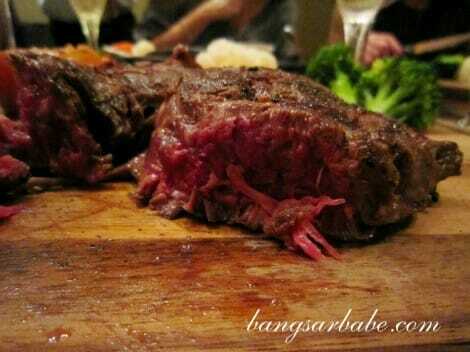 We all had the same main course which was pre-booked by the host – a hefty ribeye steak (350gms) each. 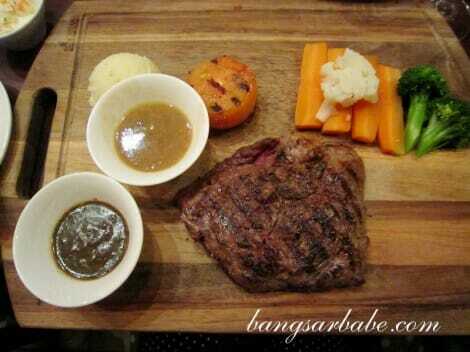 The steak, served on a wooden board with vegetables and mash potato, was perfect for a carnivore like me. The meat was not as flavourful on its own; understandably because it’s a grain fed but the mushroom sauce provided did it justice. I wouldn’t recommend eating it with black pepper sauce unless you like tasting pepper more than the meat. 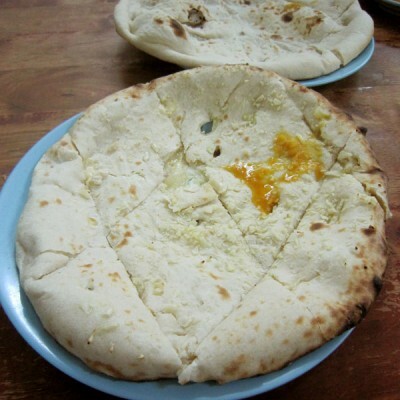 Rimmed with tasty fat, I particularly enjoyed the marble of fat at the centre. Bloody: More rare than medium rare. Sent it back to cook for a while longer. Note that the medium rare at San Francisco was slightly rarer than the norm. My thick slab of meat was difficult to cut due to that, so I requested for it to be cooked for another 10-15 seconds. Second time around, it was properly medium rare. 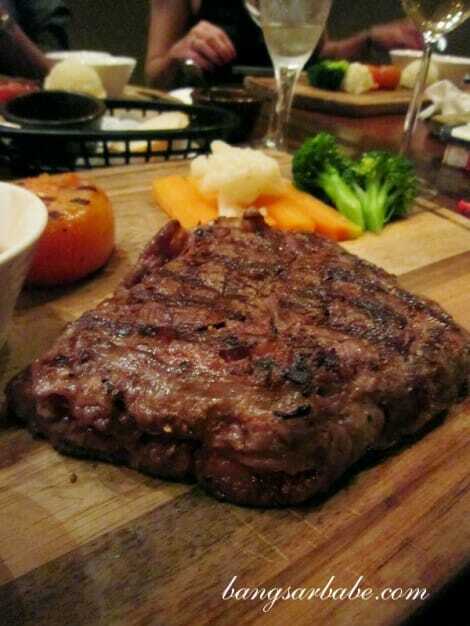 I ate the whole 350gms easily, and even helped a friend finish half of her steak. 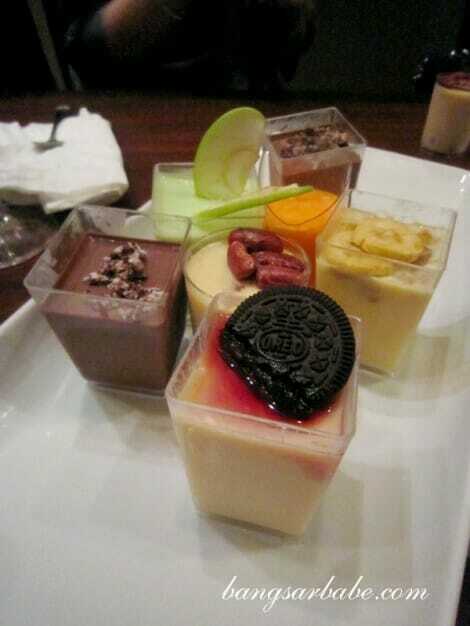 Dessert was quite a letdown. I’m not sure what they were, but they tasted like a poorly made panna cotta. I wouldn’t bother trying this if I were you. 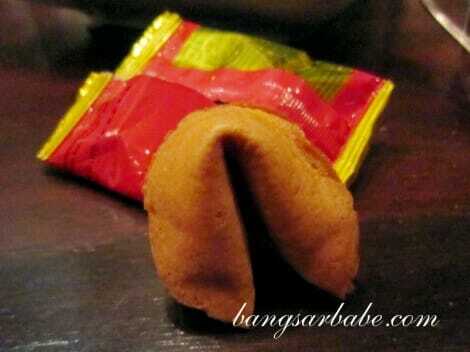 The host gave us a fortune cookie each. 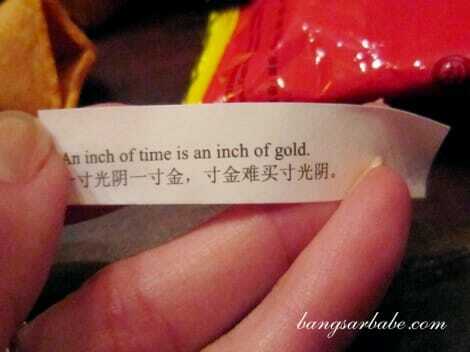 My fortune read, “An inch of time is an inch of gold”. I searched on Google and found that there was a remaining sentence to that. The whole proverb goes like this, “An inch of time is an inch of gold but you can’t buy that inch of time with an inch of gold.” This reminded me not to take health for granted for the sake of climbing the career ladder. I guess I tend to forget to stop and smell the roses every now and then. 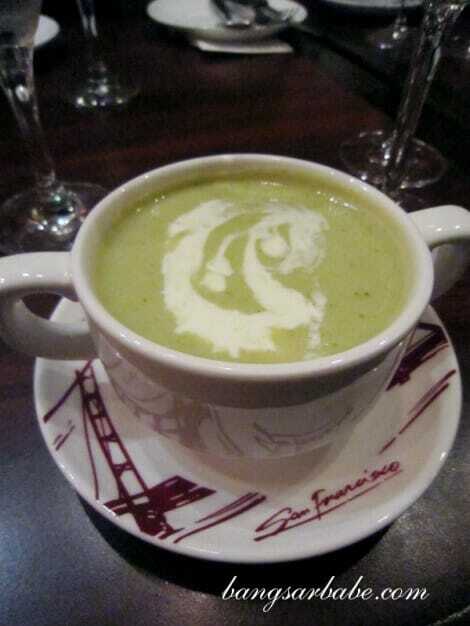 Despite several misses, I enjoyed my meal at San Francisco. 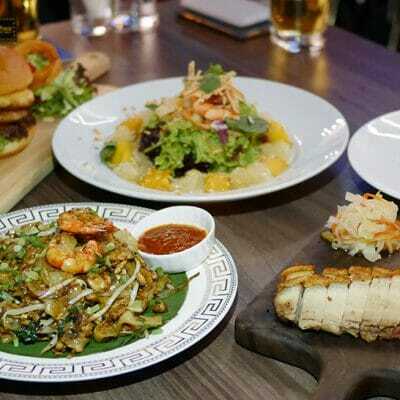 I’m not sure how much dinner was, but if you order from the menu, a 250gm steak should cost you about RM70-80. That was my sau kung dinner to mark the end of the Rabbit year. What about the rest of you? How did your sau kung dinner go? Verdict: Decent steaks but skip the desserts. Service was good-natured throughout.